Rider Prophet: Rider Prophet Salutes Bad Team Names: Are you sure? Rider Prophet Salutes Bad Team Names: Are you sure? So far in my salute to bad team names I’ve made fun of animal mascots, made up mascots, spelling errors and colours. Today we venture into a completely new realm, saluting teams that clearly have no idea what constitutes a good team name and appear to have just chosen random words. 5. Columbia Crew (MLS) – I can’t believe this is soccer’s first appearance in a series dedicated to all that is mockable in the sporting world. Actually most soccer teams have avoided this salute because they tend to just go with FC (unimaginative, yes. mockable, no). But Columbia (in their infinite wisdom) decided to buck the trend and use their imagination (though I use the term extremely loosely in this case). Though it defies logic, in trying to set themselves apart from the FCs of the world, they actually managed to come up with an even less imaginative team name. Though I guess we should expect nothing less from soccer players. 4. 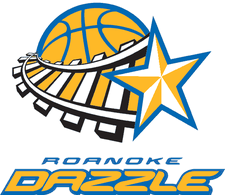 Greensville Groove (defunct NBA D-League) – You deserve to be a defunct franchise if groove is the best you can come up with. Maybe they got complacent. 3. Tri-Cities Fever (AF2) – The only cure for this bad name is more cowbell. 2. Bakersfield Jam (NBA D-League) – If I didn’t know this was a basketball team I would assume it was a product my mom would buy at the supermarket. Any sports team that can cross-promote itself with something I put on my morning toast deserves my mockery. Acceptable uses for the term Dazzle include children’s dolls, strippers and female gladiators. Not sports teams. Though I enjoyed this post I was surprised to see the Edmonton Rush (NLL) didn't make it on to the list. There either named after a rockband or a combination of an LSD/speed. Either way not cool name. Another bad team name is Edmonton's baseball team the Cracker-Cats. The park is called Telus Field aptly named The Phone Booth when the Edmonton Trappers played there. With the Cracker-Cats it may have been referred to as the Crack-House. Steve - If you're basing a team name on a Canadian rock band you could do far worse that Rush. I mean they could be the April Wines, the Loverboys or the Chilliwacks. Clem - Cracker Cats is awesome! Just imagine what they would give out on fan appreciation night at the Crack House. The Macon Whoopee, and the Macon Trax. I have no idea why both teams are now defunct.